Quickly master math facts to thrive at upper level math courses. Practice unlimited mathematical concepts to your heart's content. Now, that's fun! Randomized questions based on students' level to keep things interesting. 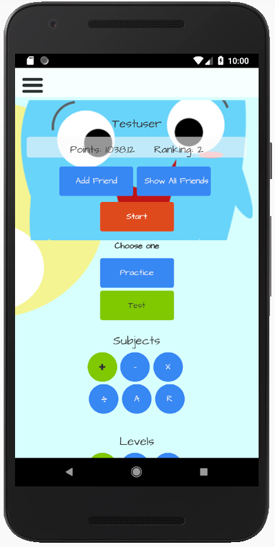 Students can engage in friendly competitions with their Sqooasha friends. Points are synchronized across all platforms, whether you are on a laptop or on the go! No need to rush over math concepts. Use Sqooasha to learn at your own pace.